I’ve decided to do a low FODMAP diet while I’m home for winter break and can actually cook for myself again. I’m not sure why I haven’t tried it before; I guess cutting out garlic and onion, along with basically everything else that tastes good, was just too intimidating. But hopefully it will help with some of my digestive symptoms! Brief FODMAP primer: FODMAP stands for Fermentable Oligo-, Di- and Mono-saccharides, and Polyols. Basically, FODMAPs are a group of sugars that are difficult for some people to digest, and can cause gas, bloating and diarrhea in people who are intolerant to them. 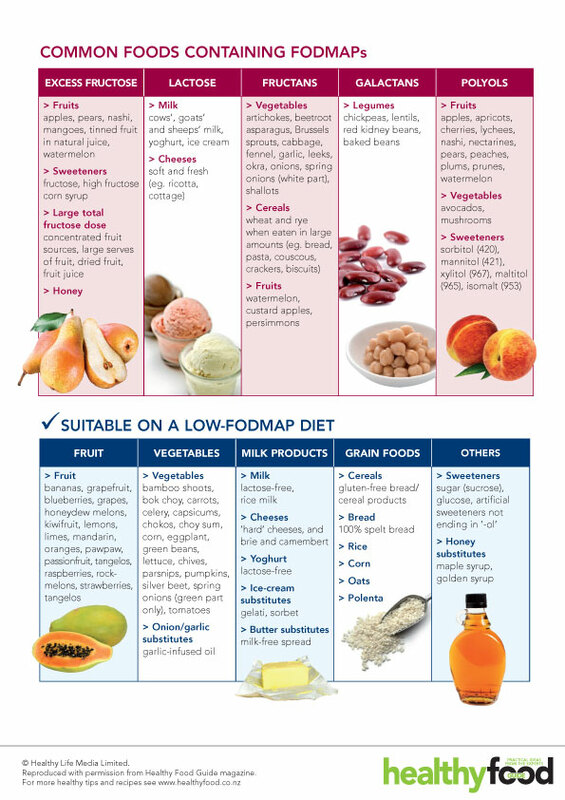 Here’s one chart showing a list of low- and high-FODMAP foods. There’s significant variation among sources regarding which foods are suitable on a low-FODMAP diet, which is sort of annoying, but it also means that this will be more of an experimental guideline than a strict diet. Also, I’m making this a dairy-free (except for butter), nightshade-free, and nut-free trial. They taste delicious, but those food groups can be mischievous, so they’re out for the time being. My stomach shall be a mischief-free zone! I’m also avoiding any spicy spices (that sounds dumb…is there a better way to say that?) and nightshade spices. This means no paprika or pepper of any kind. I have a feeling I’ll be making close friends with the non-spicy herbaceous members of my spice cabinet. Luckily, adding butter and salt can make nearly anything palatable, so I always have that as a backup! I haven’t eaten dinner yet, but I have a pork shoulder in the oven and I’ll probably just steam some carrots. If the pork is good, I’ll post the recipe tomorrow! Have you ever gone low-FODMAP? Did you even know FODMAPs existed? Let me know in the comments section!